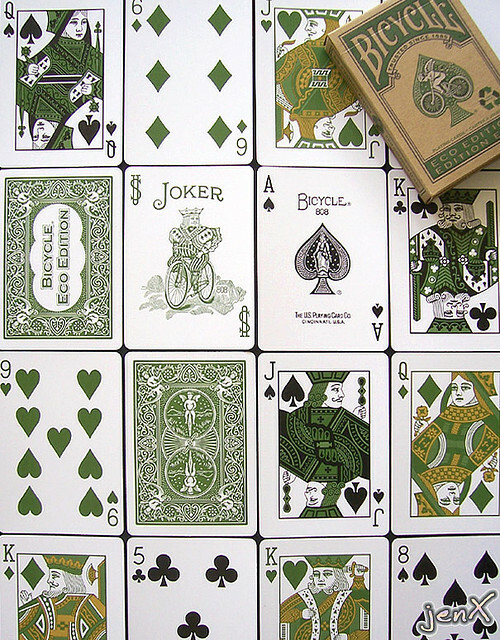 The Eco Edition is a fully recyclable deck of cards, including the box. The cards are made from sustainable forest papers, starch-based laminating and vegetable-based inks. They have standard Bicycle faces with an all green and black colour scheme. Comes with 2 Jokers, one green and one black with a guarantee.